You are here: Home / Brands I Endorse / Sweet and Full of Spice, All Natural, Popcorn Treats + Giveaway! 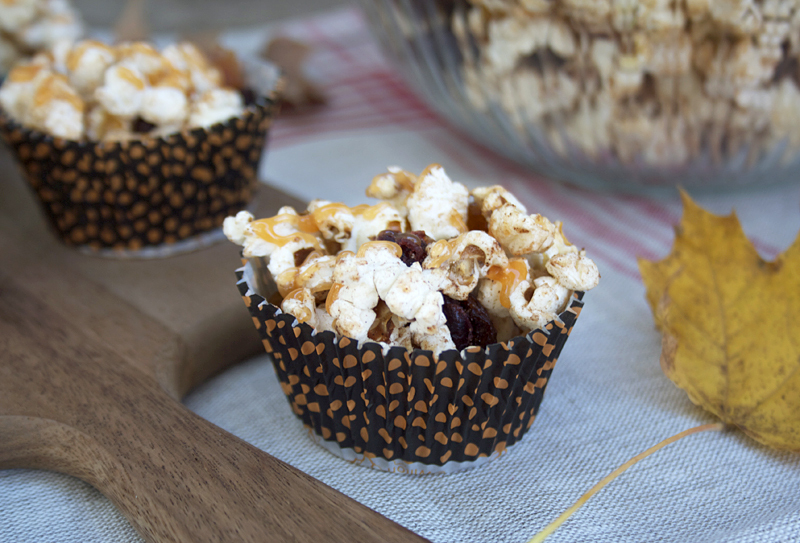 Sweet and Full of Spice, All Natural, Popcorn Treats + Giveaway! This post is sponsored by Real Salt – A natural sea salt with more than 60 trace minerals, a unique taste, and reports of health benefits around the globe. Big brother is eight years old, strong minded, and independent although his heart is one that bleeds for others. Just like his father, I can already see that he has the gift of helps, one that’s servant minded. 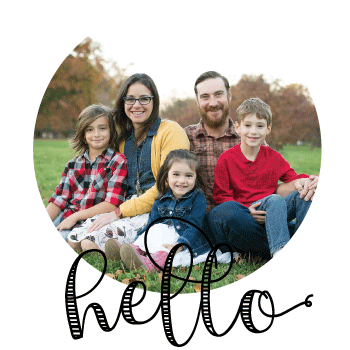 Without having to ask of him, he helps his siblings get dressed, pours them glasses of milk, or keeps their busy minds at bay by playing games with them. He’s also been the one with a sincere interest in gardening and cooking with me – he’s been cracking eggs since the age of 2 and frying them up with perfect crisp edges since 5. Yes, he’s just like his father; responsible, dedicated, with a heart to serve others, and it was he who taught Big Brother how to make Dad’s best popcorn. Apparently, mama doesn’t know the magic to light and airy popcorn popped just so … so I let them have their thing 😉 Since I’m not allowed to pop popcorn at our home, Big Brother helped me come up with a fun new way to eat popcorn during this holiday season. Adding a bit of sweet smelling coconut oil to a heavy bottomed pan, Big Brother did his thing and made the lightest, fluffiest popcorn this side of heaven. Once popped, together, Big Brother and I placed the popcorn into a large pan and added a bit of our favorite popcorn salt from the makers of Real Salt. It’s a super light grain with no grittiness whatsoever. Like all products from Real Salt, it contains over 60 trace minerals. Once we added the salt, we decided to add some cinnamon and homemade pumpkin pie spice. To that, we added some dried fruit and our favorite enjoy brand chocolate chips. The heartwarming spices of cinnamon and cloves was filling the air… yes, it was coming together quite nicely. To sweeten it up and give it a bit of orange color to make best of this season, we simmered some honey with a bit of pureed sweet potato and then added arrowroot powder to thicken it up. It was perfectly sweet and had no hint of sweet potato flavor at all. Together we then drizzled a few tablespoons into the popcorn and tossed all of the ingredients together. We then had fun separating the popcorn mix into muffin cups and using the leftover sweet caramel type sauce to drizzle over top. It tastes of the seasons most comforting spices, is gently sweetened, and pairs well with the sweetness in the dried fruit and chocolate chips. I thin you’ll find that this sweet and full of spice popcorn mix makes a delightful and nourishing treat in this season. Sweet and Full of Spice, All Natural, Popcorn Treats. It tastes of the seasons most comforting spices, is gently sweetened, and pairs well with the dried fruit and chocolate chips. In a heavy bottomed sauce pan, gently heat 1 tbls of coconut oil with 1 popcorn kernel in the pan and cover. Once the kernel pops in the pan, the oil is ready. Add 1/2 cup of popcorn to the pan and cover. The popcorn should begin to pop shortly after you cover the pan. Make sure to listen to the popcorn. Once the popping slows down, remove the popcorn from the heat and allow to cool. Once cooled, transfer the popcorn to a large bowl or pan. To the popcorn, add 1 tsp of popcorn salt, 1/2 tsp cinnamon, and 1 tsp pumpkin pie spice; mix through. Add 1 cup dried fruit and 1/4 cup chocolate chips; toss through and set aside. In a small skillet or cast iron pan, gently simmer 1/2 cup of honey with 1/4 cup of sweet potato puree. In a small bowl, whisk together 2 tbls of arrowroot powder with about 3 tbls of the honey mixture. Whisk in the arrowroot mixture back into the contents of the honey and sweet potato mixture on the stovetop. Continue to simmer for another minute or two. Add about 3-4 tbls of the honey mixture into the popcorn and toss through. Serve the popcorn in individual muffin cups or in a large bowl. Finish with a drizzle of the honey mixture on top. When it comes to good health, we believe nature has it right. Real Salt is salt exactly the way nature made it–unlike most other salt companies, we don’t add anything and we don’t take anything away. The result is a natural sea salt with more than 60 trace minerals, a unique taste our customers love, and reports of health benefits around the globe. Real Salt is the best tasting, healthiest sea salt you can find. Take the Real Salt taste test and discover why Real Salt is the best-selling brand of sea salt in America’s health food stores. My Humble Kitchen uses the Real Salt brand of fine salt, kosher salt, and garlic salt. Real Salt Ultimate Variety Pack Giveaway! Real Salt is another company built on integrity that My Humble Kitchen is proud to partner with. As a special gift to the readers of My Humble Kitchen, Real Salt is giving away an ultimate variety pack to one lucky reader! For your chance to win, enter below! Do you enjoy popcorn treats? Tell me what’s your favorite way to make popcorn at home? I LOVE how adorable, and creatively healthy these treats are. Pinning! We love popcorn cooked in coconut oil with salt, a little butter, and maybe a little sugar sprinkled over it. I’d love to try that popcorn salt! That garlic salt looks delish! I would really like to try the popcorn salt! I am actually interested in the popcorn salt now. I’ve never noticed that. We already use clay and Earthpaste and Real Salt exclusively. I actually recently didn’t have enough cash/didn’t need enough stuff to make a Redmond order and I bought table sea salt from Trader Joe’s…I have been sorely disappointed! We love Real Salt and would love to try the garlic salt! perfect timing! I need a snack idea to take to a Halloween party tonight. I’m going to whip this up. Thanks for the inspiration! I want to try the Seasoning Salt! I have not seen this in the store yet! I really enjoy reading your blog, and this recipe sounds awesome! We have been using real salt for years and would love to try the popcorn salt. Sounds yummy! I’d like to try this! I use real salt for everything! I’m a big fan of White cheddar Popcorn. I’m addicted to it and can eat a batch all by myself! I love to pop it on the stovetop with some coconut oil and top with lots of butter and redman Salt! Yummy! I didn’t know that they made other flavors, I’ll have to try them all! I always wanted to make a “caramel-like topping” without the corn syrup. Thanks! Popcorn salt 🙂 to try on your recipe! I love using Real Salt. I carry the tiny one in my purse so we always have the best salt wherever we go. I also use the Earthpaste and their other clay products. I have always wanted to try their seasoned salt though. But I think now I want to try their popcorn salt. Didn’t know they sold that. This recipe looks so incredibly yummy! I would most like to try the popcorn salt. What makes it different from regular Real Salt? I would love to try the popcorn salt. My husband loves air popped popcorn with a little butter and salt, so that would be a great gift for him. Love Real Salt. Also love the “rock salt” types that require a grinder, so I would start with one like that if they have it. I’d also like to try the season salt. The Kosher real Salt interests me greatly. thanks. I already use and love the fine sea salt, but it’d be great to try the kosher salt and the seasoning salts. I’m sure Redmond does them right! Thanks for the giveaway! I would like to try the seasoning blend the most because I have pitched all of my other premixed seasonings after reading their labels. I miss the convenience! I’d love to try the popcorn salt – we eat our fair share around here! I’d like to try the Kosher salt–thanks for a nice Giveaway! I’ve never tried Real Salt, but I’m interested in the seasoning salt. Also this popcorn recipe sounds delicious! The kosher salt is something I’ve been wanting to try. oh my gosh I love popcorn so much. I could literally eat it everyday. I’m an air popped slathered in grassfed butter and salt kinda girl. I love white popcorn the best. I’m SO making this ASAP. I’d love to try the popcorn salt! I’d love to try their garlic salt. I would love to try the garlic salt. We put garlic on nearly everything! I’d love to try them all, but am especially excited about the organic season salt, and onion & garlic salts. Oh my! I didn’t know there was a RealSalt popcorn salt! The popcorn salt would be my 1st choice. Thanks! I absolutely LOVE Real Salt products. I didn’t know they made popcorn salt! I’ll have to check it out! We like Real Salt. The popcorn salt sounds good. I already use Real Salt, so I would try the Popcorn Salt! It looks like I need some popcorn salt to try out this recipe!! I would be interested in trying the sea salt too…never heard of this company. Thanks for the introduction! I’ve never seen popcorn salt. Either that one or one of the flavored ones. I would love to try the organic seasoning gift box. I LOVE Real Salt’s Organic Seasoning salt it is perfect for making homemade chicken soup and adding flavor to almost anything to make it savory. i would love to try the popcorn salt! I would most like to try the sea salt fine salt. I have tried them all and they are great products! The only salt I use! I use real salt already and we love it so it would be nice to try the rest of the products. I love Real Salt sea salt. Would love to try their popcorn salt! I would like to try the seasoning salts. We use an air popper then we add salt and butter. It is so good! Would love to try the Popcorn salt! I’m a salt snob, so I’d love to try them all! Have tried most of their stuff, but not the Popcorn salt or Kosher yet. I’d like to try the popcorn salt! I had no idea they made so many products! I’d love to try the garlic salt! I love popcorn…so I make it on the stove and use many and varied seasonings and flavors, for us and for friends and family. My personal favorite is homemade – and ever so gooey carmel corn…make my own carmel and finish with a light sprinkling of kosher salt ! yum! I love the Real Salt sea salt, and I’d love to try the popcorn salt! This is a lovely giveaway. Thank you. I have not yet seen (or maybe just not noticed!) this brand of salt. I will look for it. I would love to try the popcorn salt. We cook our popcorn in olive oil and add some salt. I love the regular salt, but would like to try the season salt. I LOVE popcorn! Almost as much as cupcakes 😉 Your pictures are beautiful Diana, and this recipe looks amazing!! I think I’d like the popcorn salt. Love their salt and would love to try the popcorn salt! I would most like to try out the fine sea salt. The season salt. Haven’t found a brand I trust to buy it from – now I have! I’d love to try their seasoning salt.